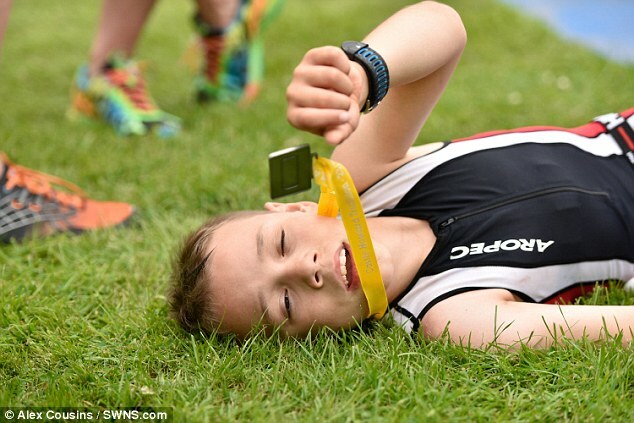 A nine-year-old boy with cerebral palsy has triumphantly finished a triathlon for the second year in a row – and even tackled it seven minutes faster. Bailey Matthews, from Doncaster, reached the end of the race at Castle Howard in York, pushing away his walking frame to cross the finish line by himself. 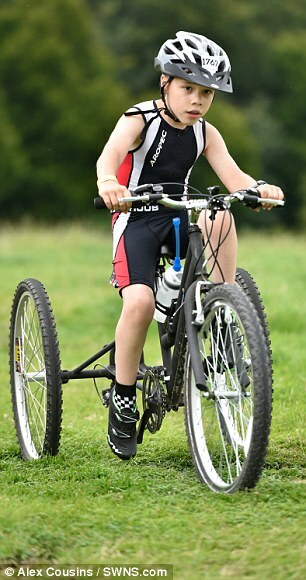 The youngster, whose catchphrase is to ‘Be more Bailey’, completed the children’s triathlon – which includes a 100m swim, 4km bike ride and 1.3km run – in one hour and 20 minutes. Bailey’s father, Johnathan Matthews, who flanked his son at the finish line, described just how proud he was of his son’s achievements. He said: ‘I’m so proud of him, it’s great to be back. He’s given this 100 per cent. ‘He never talks or brags about it, he never even mentions it, he just gets on with life and working hard to be a great triathlete. ‘I don’t think he fully understands just what an achievement it is. Bailey’s mother, Julie Matthews, echoed those sentiments and described just how well Bailey has done in the past year. She said: ‘It’s a year since Bailey completed the Castle Howard triathlon and I can’t believe how much our lives have changed since then. It’s amazing to see how many children he’s inspired and we’re so proud of the amount of people who’s lives he has made a difference to. ‘When he did his first triathlon it came off the back of a huge amount of belief, work, training and determination from a lot of people. Bailey received global recognition at Castle Howard last year when, with the finish line in sight, he abandoned his walking aid and determinedly made it to the end. Despite a few tumbles, the youngster refused to give up and reached that elusive end all by himself. Since last year’s achievements, Bailey has been awarded a Pride of Britain Award and the BBC Helen Rollason Sports Personality of the Year Award. 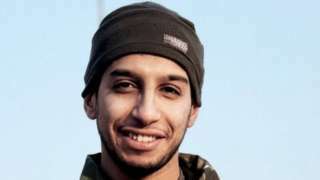 He has also met many of his heroes, including David Beckham, Simon Cowell and more. Speaking about his inspirational son, Mr Matthews said: ‘Bailey sees himself to be no different to others and just wants to give everything ago. 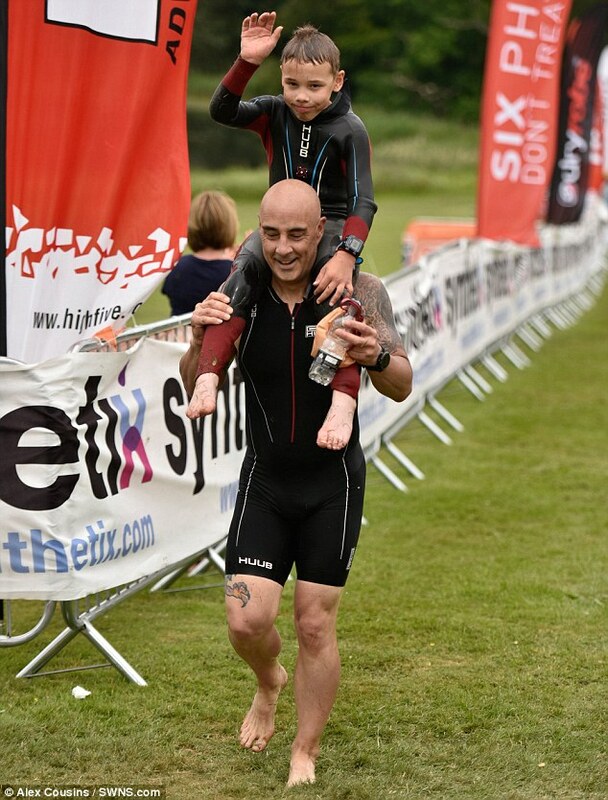 ‘He did exactly that at Castle Howard Triathlon and has come back to do more this year. ‘The beauty of triathlon and the Castle Triathlon Series events are that they give access to all and that’s why the sport and these events are top of our calendar this year. Now Bailey is calling on others to take part in triathlons of their own throughout 2016. Brian Adcock, Race Director for the Castle Triathlon Series described how pleased Castle Howard was to welcome Bailey back to the scene of his success. 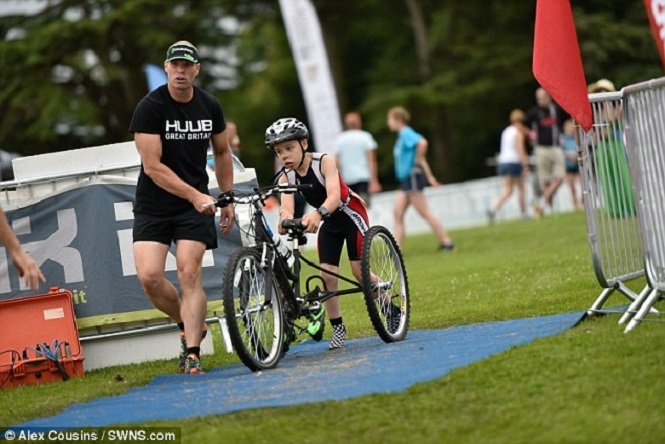 He said: ‘We were delighted to welcome Bailey to our entire Castle Triathlon Series this year and were so excited to see that now-famous smile and example setting determination again.